This article was written on 28 Oct 2014, and is filed under S. Africa - Peter. 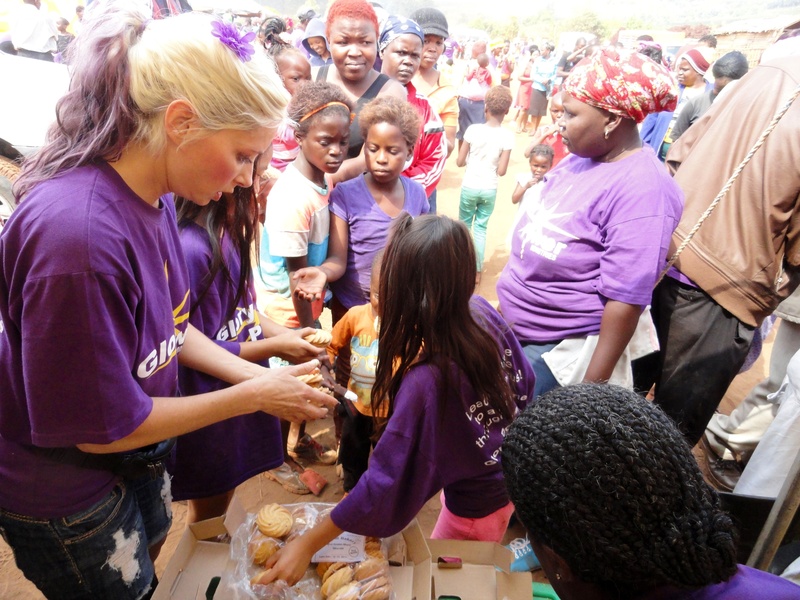 A group of 11 Americans came to help GPM in South Africa, and they blew us away with how they helped and encouraged us every day and particularly with a wonderful outreach we had last Saturday at the squalid Mokgoba refugee camp in South Africa. The camp has close to 3,000 destitute people, with about 2/3rds having been tested as HIV positive. Many in the camp say that they feel forgotten by the world. 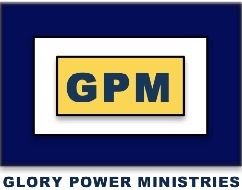 GPM wanted to show them that they are as special to Jesus as anyone. GPM has a church in the camp pastored by Peter Matome, a great man of God who lives with his wife, Sanikie and four children in the camp. 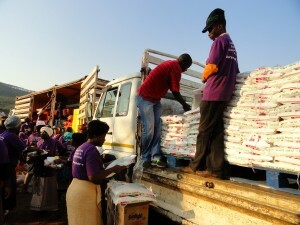 The camp has many Zimbabwean refugees and witchcraft is widespread there. 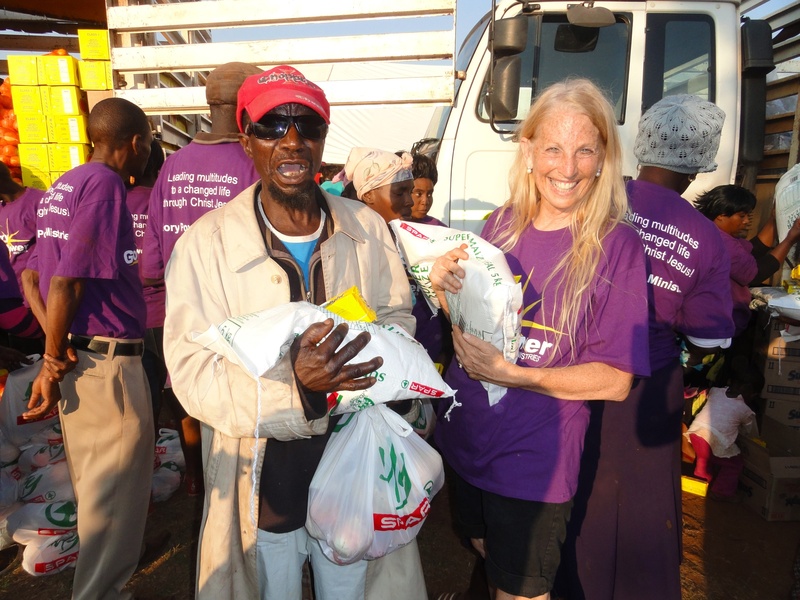 It was particularly intense for our American friends who helped in Mokgoba, as they witnessed severe destitution and hardship there. At the outreach, GPM distributed bags of groceries containing bread, sugar, salt, tea and also seeds to grow a vegetable garden. In addition, GPM distributed 5 kg bags of mealie meal (their staple corn meal) – over 6 tons of mealie meal – along with bags of vegetables and fruit from local farmers and much-needed multi-purpose soap. 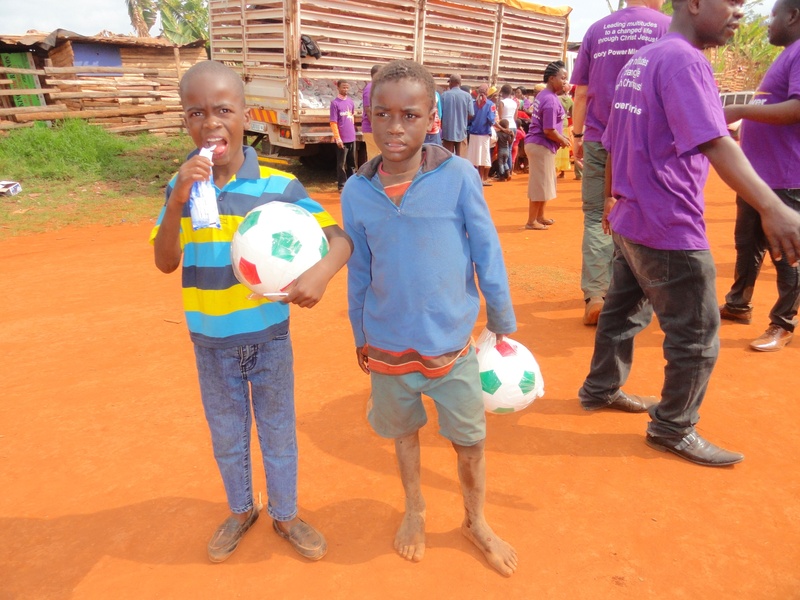 GPM also blessed the people at the refugee camp with gifts and toys, ice cream and cookies, and provided jumping castles for the children. Over 2,000 people were ministered to!!! Don preached that Jesus can more than relate to them because He suffered so much in His life and death. As Don described Jesus’ agony, the people were listening intently. 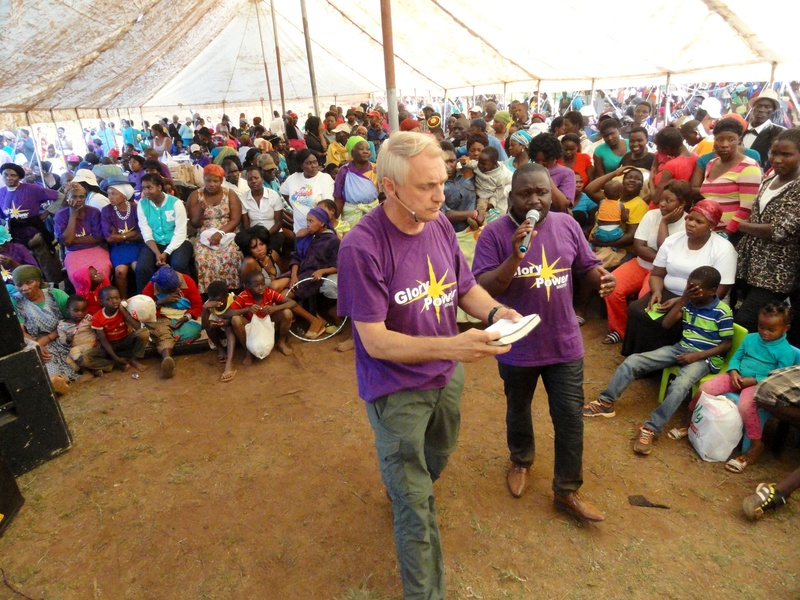 Even though there was some problems with the sound system and many could not hear the message, at least 300 people prayed to receive Jesus. Some people also said that they were healed of various ailments after we prayed to break curses from witchcraft and sexual immorality. We also prayed over a woman named Tsakani (pictured) who was crippled. 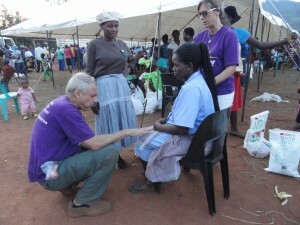 As we prayed for Tsakani, she said that she felt something pop in her knees. Afterwards, she was walking visibly better. Bless The Lord! Many from the camp thanked us afterwards for the much needed food and gifts and particularly for sharing the gospel. 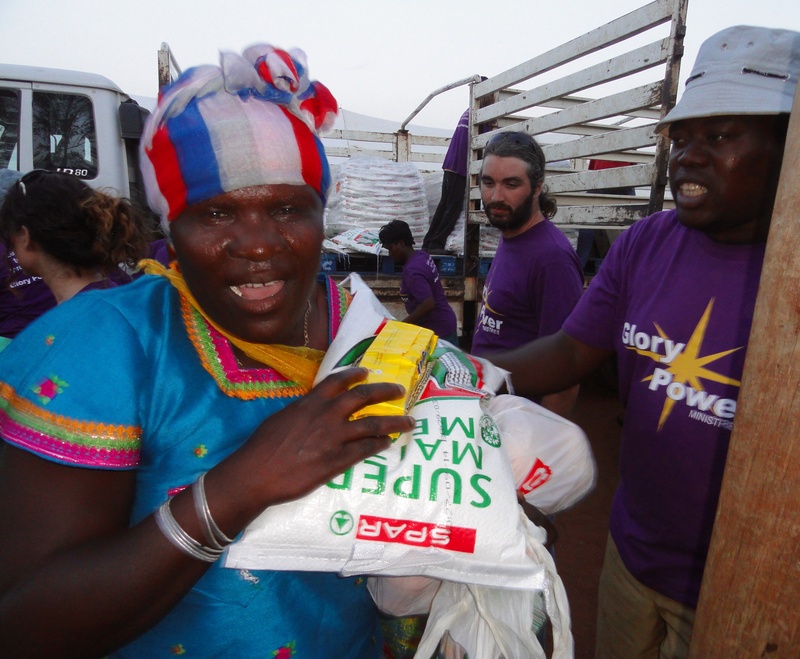 They said that they could not believe that anyone would provide all of this for them – they saw God’s love for them in action. Along with everything else, we gave lots of smiles, hugs, love, and affirmation of their being so special. Thank You, Jesus, for such an awesome day and showing your love to these precious people through all of us!